(June 12, 2012) Three minutes before he took the court at Roland Garros on Monday, Rafael Nadal wasn’t ready. It had been a rough night, he said. 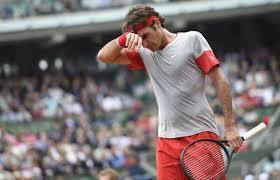 A day earlier, he was putting Novak Djokovic away in the French Open final, and then Djokovic started rolling over him the way he had done all last year. The match was stopped for the night because of rain. But think of what Nadal went through after that: Djokovic had beaten him in the finals of the past three majors. Djokovic had gotten inside Nadal’s head. Djokovic, for the past year, had been the immovable force in tennis. Well, forget all that, because in those final three minutes before taking the court Monday, Nadal felt the comfort of home. His home: Roland Garros. Nadal won his record seventh French Open, 6-4, 6-3, 2-6, 7-5. Djokovic is not the immovable force of tennis, after all. Nadal on red clay is. In fact, Rafael Nadal at Roland Garros is the greatest, most dominant individual force in sports today, maybe ever. Tiger Woods at the Masters? No. Mike Tyson? No. Maybe Usain Bolt. Maybe Michael Phelps, but that was a one-time thing in the 2008 Beijing Olympics. We’ll see how they do this summer in London. You can’t force history to happen. But you sure can stop it with greed, stupidity, recklessness. 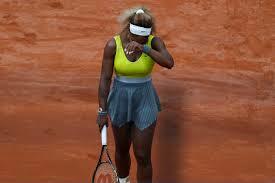 Tennis ruined a great moment Sunday, just sold it out to broadcasters, to NBC. Novak Djokovic and Rafael Nadal, two all-time greats, were both going for historic heights in the French Open final. It was a dream buildup in a great, new rivalry for a sport that needs as many big moments as it can find. But it rained the whole match, and officials, trying to keep broadcasters happy, kept letting the match go on and on, anyway. What happened? Not historic greatness, that’s for sure. The showcase was ruined. Everyone lost. Fans saw a crummy match, and it never even finished. Nadal led two sets to one, and trailed 2-1 in the fourth when the match was finally stopped because, well, it’s hard to say why it was stopped, really. Nothing had changed over the final hour of the match. It just kept drizzling. Maybe officials realized that their greed over TV money, their desperation to make broadcasters happy, had stolen Nadal’s magic and was turning their party into a disaster. 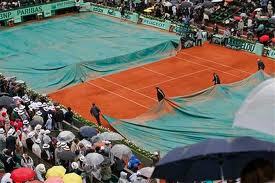 Well, the match is supposed to start up again at 7 a.m. (ET) Monday. But the forecast in Paris calls for more rain. This could drag on for a while. It comes down to this: They never should have played that match Sunday.